I see this new collection of Avon scents as sort of melding of the love and summer. A whiff of this scent allows one to remind themselves that love is out there and yet enjoy first the beginning of summer. Summer is one our most anticipated season in our tropical land, with beautiful beaches merely hours from the city. Steal a way a day to spend with your loved one... Spray on the glorious fresh and sparkling scent of Windscape that will surely entice the man in your life. Windscape For Her features sunny citrus and a hint of crisp apple sparkle through an airy blend of aquatic florals and white musk. Windscape For Him, meanwhile, has zesty citrus that gives lift to a whirl of dewy greens and fresh, invigorating spices. They share their stories that will inspire us to find our own true love. Celebrity mom Suzi Entrata-Abrera and triathlete and TV host Paolo Abrera first met in 1997 on the sports-oriented show Gameplan, where they both worked as hosts. Together and on camera, Suzi and Paolo traveled to exciting places, jumped off cliffs, dove into the ocean depths, and took enormous risks to bring the rush of extreme sports to their viewers. “We were always traveling together, trying out different sports, meeting new people. It was a constant learning experience. It was great to know that there is a huge world out there with so many different sorts of people,“ Suzi said. On 2001, the couple took life's biggest plunge and got married. Paolo said that they are lucky to work in a “non-traditional” way that has allowed them to be a little more free-wheeling. “I like being outside and feeling the sun on my skin and the rush of the wind. My ideal day would be spent just sitting at the beach, with no particular plans, just taking things as they come. We go where the winds lead us,” Paolo added. The couple love going to the movies, having coffee or having lunch together. On weekends, they go running, swimming, go on bike rides or visit the market with the kids. Sometimes, Suzi and Paolo hop on the motorcycle for a ride on weekend afternoons. However, being in the TV business and not working in 9-to-5 office jobs also presents its own challenges. “It’s particularly hard for Suzi who has to wake up at the crack of dawn, and sometimes gets home late from taping a second program,” Paolo shared. “It’s hard sometimes to find time for each other, and with three kids as well. But even on extra-busy days, those last two minutes right before you nod off –where you tell each other one last funny story and make each other smile—are golden,” he added. “I first met Paolo in a Christmas party for the fashion industry. I was then president of the Professional Models Association of the Philippines while Paolo was managing partner of Fiamma,” said Rissa Mananquil, a model, columnist, and modeling-school teacher. “I eventually asked Rissa out on dinner dates. As we got to know each other better, I was smitten,“ said Paolo Trillo, Ateneo men's basketball team manager, restaurateur and sportscaster. “I was impressed by how responsible, hands-on and attentive he was to his business. He always treated his staff well. He’s incredibly down-to-earth, intelligent and principled,” she said. “I love how Rissa is so humble. She never expects special treatment. I’m so drawn to her because she’s very sweet, considerate and kind-hearted,” Paolo added. “We love to eat! We enjoy trying different restaurants and cooking together at home. We also indulge in traveling. We like to explore, get lost, and discover new things,” Rissa enthused. The multi-hyphenated couple always makes it a point to share time with each other, even in extremely bad weather. Rissa tells how during the height of typhoon Milenyo, which brought Manila to a standstill, the couple just hung out and talked amid the power disruption and general uproar. “When we’re together, the ordinary becomes extraordinary,” Rissa said. Issa Litton-Garrido and Tiger Garrido met in a blind date and tied the knot in a Stars Wars-themed wedding ceremony. “Laughter is definitely a big part of our life,” said Tiger, who is an orthopedic surgeon at De La Salle Medical Center. “We both don’t take life too seriously, and simply take whatever comes our way,” added Issa, a culinary enthusiast and TV host for a morning show that tackles a grab-bag of topics and a cooking show that features top chefs and their recipes. “My husband likes to chill and I like fast-paced things yet we manage to make things work between us. Life is definitely not boring having each other and our two daughters,” Issa added. “I am a surgeon and nobody in the world could imagine me being free spirited, but there are two sides to me: the serious side and the idiot side. God forbid that they overlap!“ he said. “I love his sense of humor and athleticism. Plus, he’s a really good dancer,” Issa said of her husband, who answered that he loves her competitiveness, resolve, and passion for life. Tiger proudly stated that free-spirited Issa loves to race on the track, has no problem bungee-jumping off a crane and sky-diving out a plane. The couple enjoys going to the beach, dancing, watching movies and getting massages together. Given Tiger’s hectic work schedule, they try to enjoy the simple moments of walking together after dinner, or sharing the day’s events with each other, or playing with their girls in their bedroom. “Life is short. Open yourself up to everything life has to offer. Live with passion. If not, life will just pass you by,” Issa said. There is no right way to fall in love. There is no manual that we can all read to lead us to that person that will give our happy ending... but stories like theirs gives us that glimmer of sunshine like a summer morning that it exist and it could happen... you'll just have to learn to recognize it before it drifts away like a summer breeze. 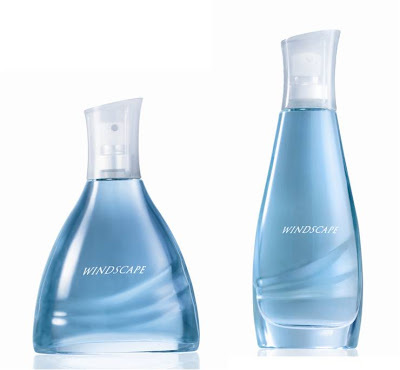 But until then, let us indulge ourselves first with Avon's newest fragrance Windscape. After all, all men are attracted to girls who smells like the first of summer. In a relationship, grab one as well for the love of your life. Windscape is now available in our Avon outlets for only Php800.00. Why go there? Just call your Avon lady! Don't have one yet? Call 8642899 or log on to www.avon.com.ph to find out how you can meet your very own Avon Lady.